This Archaeology on the Net Web Ring site is owned by William F. Stanyard. 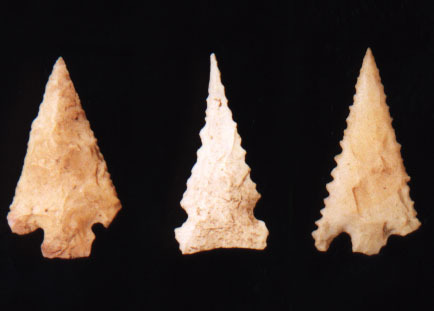 Click here to learn more about these, and other, prehistoric artifacts discovered in Georgia. Technical Summary of Georgia Prehistory (text with references). Technical Summary of Georgia Prehistory (summary table). A Brief Summary of Georgia Prehistory (15,000 B.C. to A.D. 1540). A Visual Tour of Georgia Prehistory. Help! I Found These Artifacts and I Want to Know More About Them. Georgia State Site File, and Why Is That Important? Click Here for Links to Public, Professional, and Governmental Organizations. How Can I Get Involved? Can I Volunteer to Help Excavate an Archaeological Site? I Would Like a Speaker to Give a Talk to My Group, Club, or Organization. Information and Links for Kids. If you would like any additional information or have any comments or suggestions about this web site, please e-mail me by clicking the button. You can also leave a message on my bulletin board..